$8.50 - $12.50/gal. ; $15/2 gal. 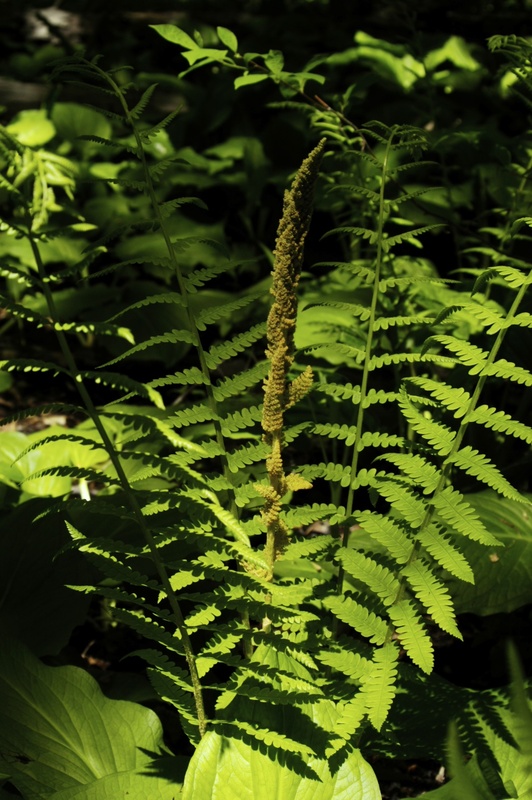 Cinnamon Fern is a nearly cosmopolitan plant native to the Americas and eastern Asia, growing in swamps, bogs and moist woodlands. In North America it occurs from southern Labrador west to Ontario, and south through the eastern United States to eastern Mexico and the West Indies; in South America it occurs west to Peru and south to Paraguay. In Asia it occurs from southeastern Siberia south through Japan, Korea, China and Taiwan to Myanmar, Thailand and Vietnam. It produces separate fertile and sterile fronds. 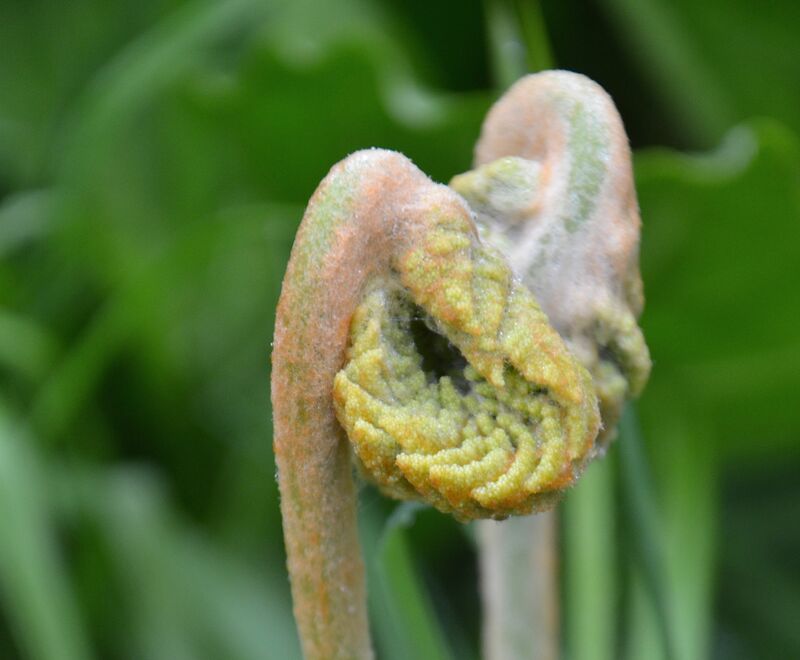 The sterile fronds are spreading, 30-150 cm tall and 15-20 cm broad, pinnate, with pinnae 5-10 cm long and 2-2.5 cm broad, deeply lobed (so the fronds are nearly, but not quite, bipinnate). The fertile spore-bearing fronds are erect and shorter, 20-45 cm tall; they become cinnamon-colored, which gives the species its name. The fertile leaves appear first; their green color slowly becomes brown as the season progresses and the spores are dropped. 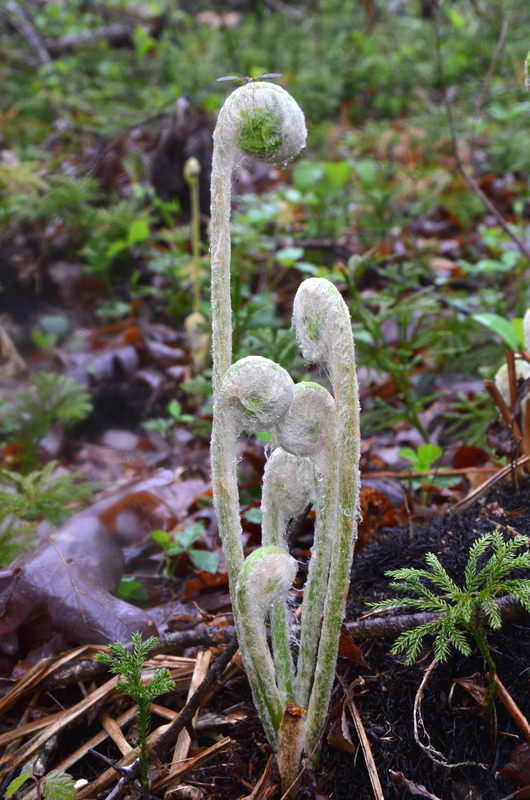 The spore-bearing stems persist after the sterile fronds are killed by frost, until the next season. The spores must develop within a few weeks or fail. This fern can form huge clonal colonies in swampy areas, with massive rootstocks with densely-matted, wiry roots. This root mass is an excellent substrate for many epiphytic plants. They are often harvested as osmunda fiber and used horticulturally, especially in propagating and growing orchids. Cinnamon Ferns do not actually produce cinnamon, but the copious spore production has the appearance of cinnomon. As one of our larger ferns, it deserves a place of honor in our gardens. Keep it moist. It can even be grown in a water feature, but don't submerse it too deeply.